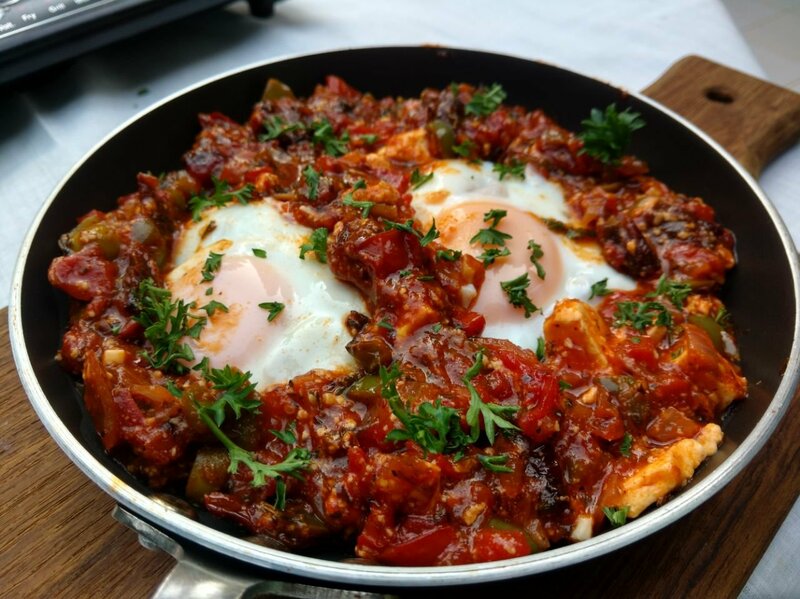 Shakshuka is an exclamatory delicacy. Poached velvelty eggs sink in the rich tomato sauce. 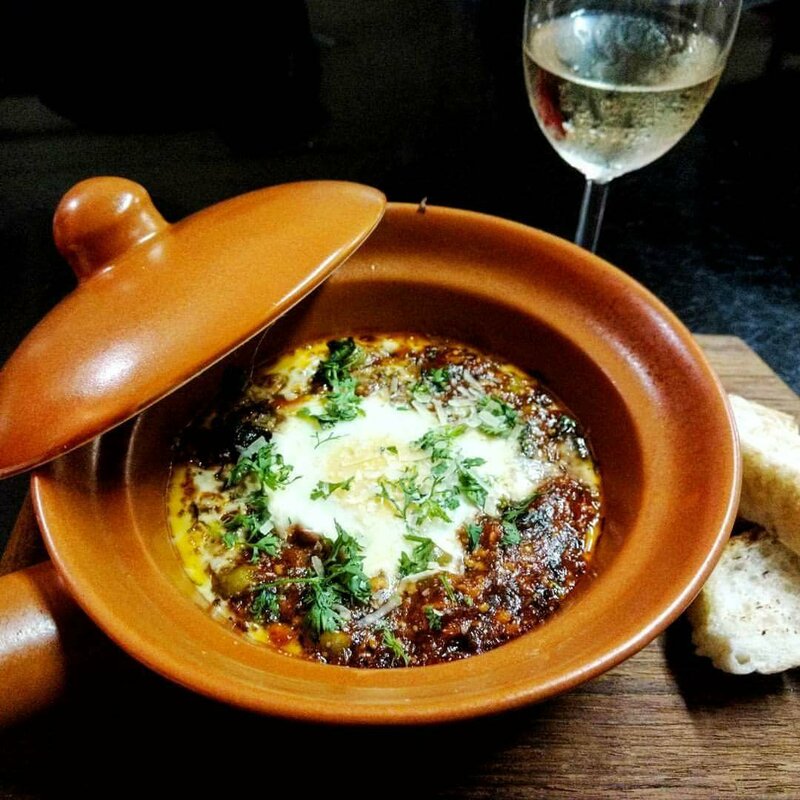 An Arabic staple dish traditionally served in cast iron pan or Tajine with bread. (Ideal accompanied by while wine.) 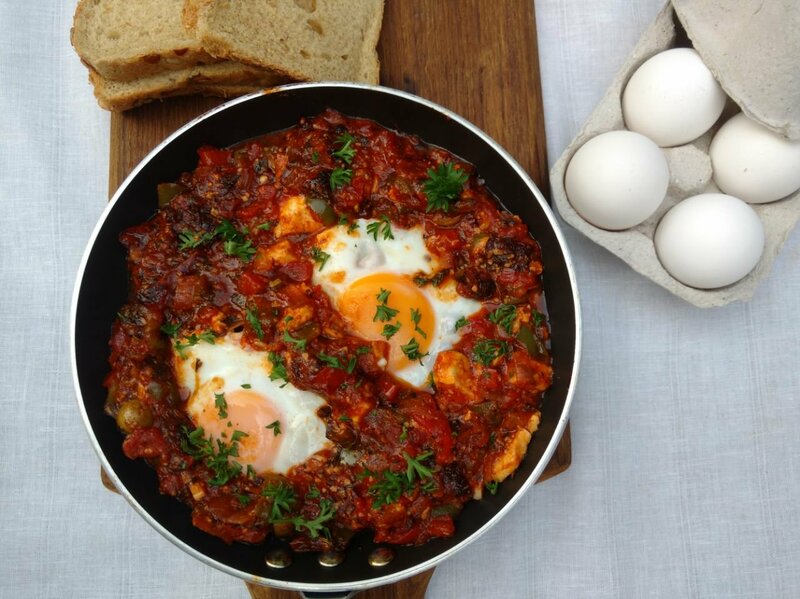 A powerpacked breakkie or even an early dinner….here is my take on Shakshuka! Onion 1 medium chopped, Tomatoes 2 chopped, Capsicum 1chopped, Parsley 1 tabsp, Olives 5-6 diced, Garlic 2cloves finely chopped, Salt, Pepper, Oregano and chiliflakes 1/2 tsp each. Tomato ketchup 4/5 tabsp, Sun-dried Tomatoes 5/6, Mozerella cheese 2 tabsp, Feta Cheese crumbled as desired, Olive oil 2tabsp, Plum relish 1tabsp, Chicken stock 1 cup and Eggs 2. 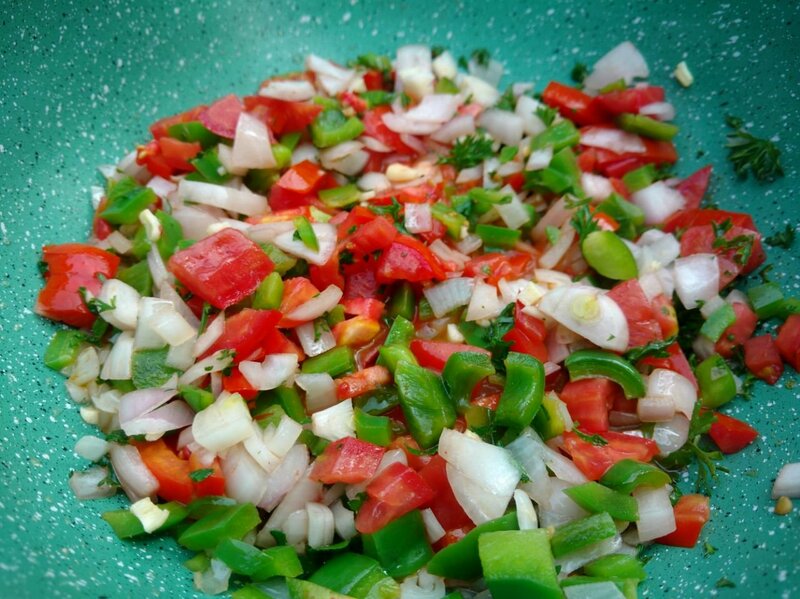 Heat oil in a pan saute garlic, onions, tomatoes, Capsicum. Stirfry for a couple of minutes. Add the ketchup, Plum relish and keep stirring. Now add chicken stock and seasoning. Add diced Olives and Sun-dried Tomatoes give it a good stir. Add cubed feta and drizzle Mozerella all over. Let the mixture blend into a thick rich sauce. Once the sauce is ready slowly slide in eggs and garnish with Parsley. Cover and lower the heat. Let the eggs poach in the tomato sauce. 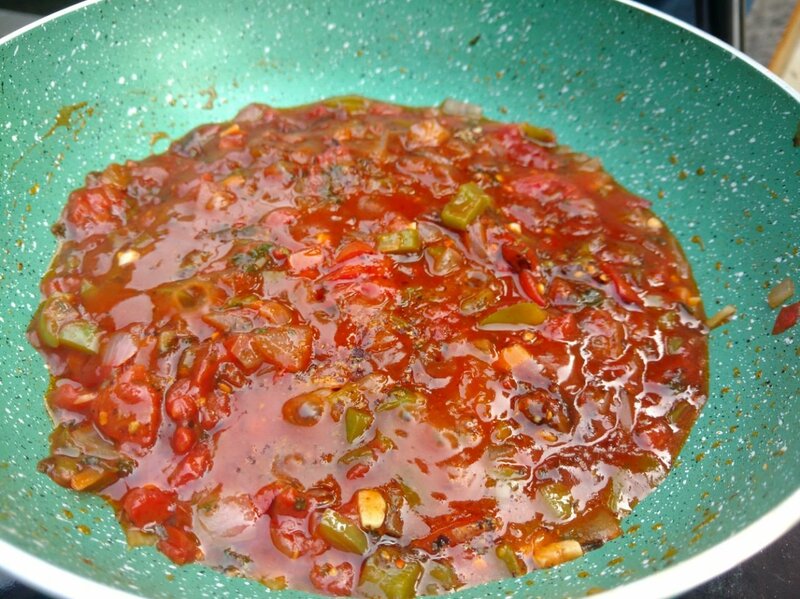 Serve hot with Focaccia or any loaf of bread. Shevayi / Rice Noodles in sweet coconut milk.